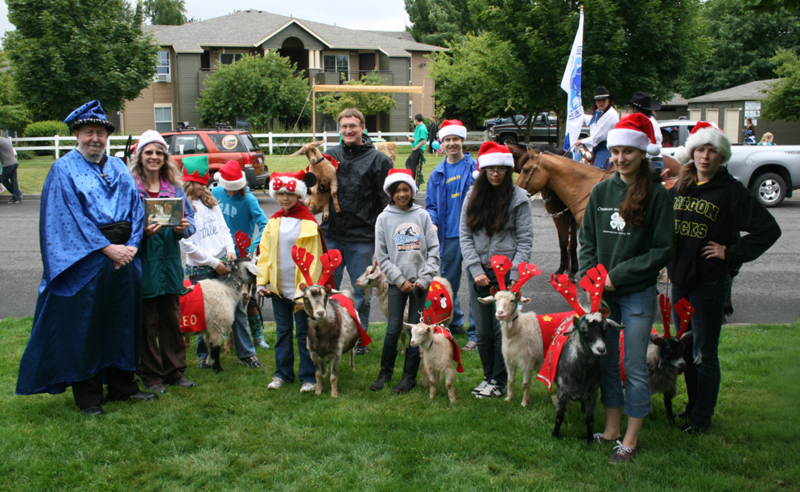 The Golden Fleece 4-H club is based in Washington County, Oregon. The group is focused on fiber animals and fiber arts. 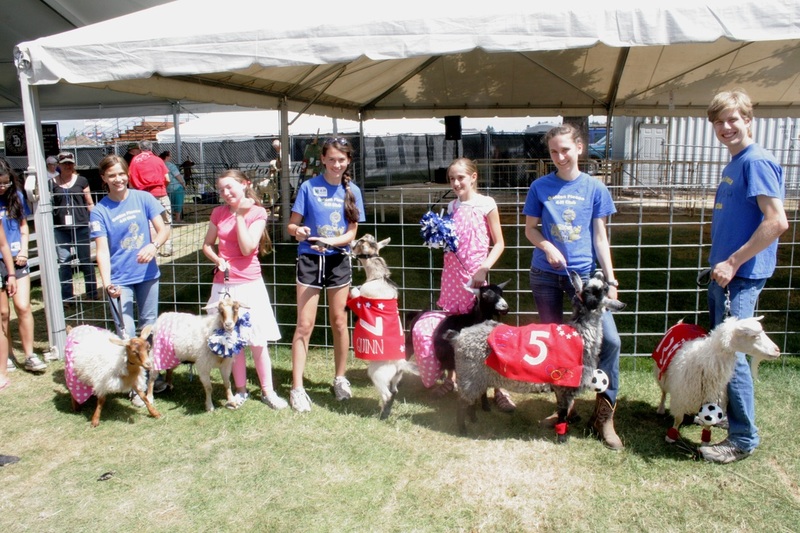 You don’t even need to own a goat to join, as they are available through the leader with a lease option. The group is led by Janet Tilp of Trillium Valley Farm. For more information, please contact Janet at janettilp31@gmail.com / 503.925.8305. You can contact the Washington County 4-H Extension for more information. The Golden Fleece Club won the Wizard award in the Robin Hood Parade that we walk in every year. 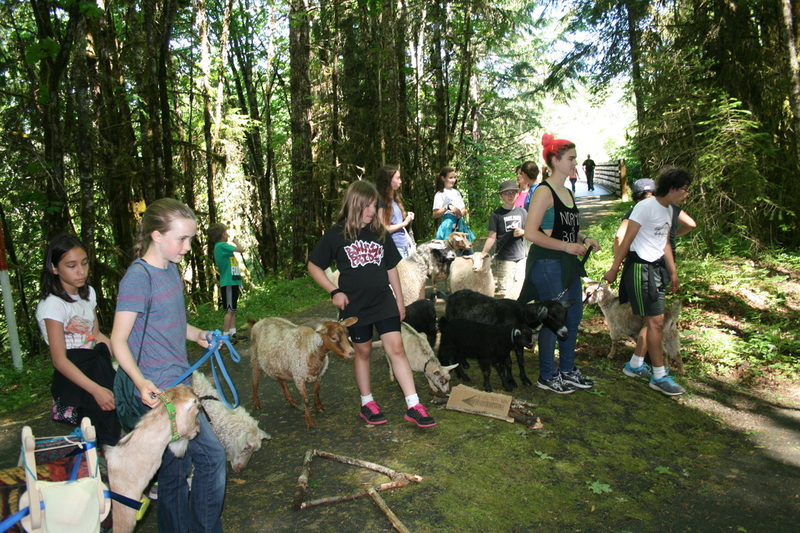 Walking our goats on the Linear Trail between Banks and Vernonia. The 4-H Costume Contest at the Washington County Fair. The 4-H Golden Fleece club are dressed up as the Soccer Team with the Cheerleaders on the left. Rah! Rah!